Rye is one of our brewers favourite locally grown ingredients and one that we will be experimenting with in a few different releases this year. In this Black Rye IPA, we used Heritage Rye complimented by dark and roasted malts. It also features late Harvest Chinook hops from our friends CLS farms in the heart of hop country better known as Yakima Valley, Washington. 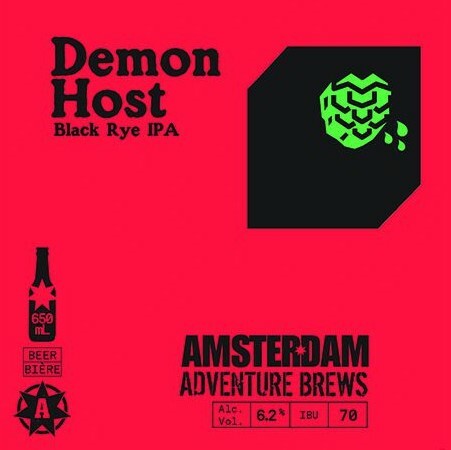 Demon Host will be released today (February 10th) at 5:00 PM in a limited run of 650 ml bottles available for $6.95 each at Amsterdam’s Queens Quay and Esandar retail locations while supplies last.